Winter Survival Makeup for Dry Skin! Let's be real, winter is harsh. Unless you live in Florida where winter is probably 60F during the cold months, you know what its like to suffer from dry, chapped, peeling, dehydrated skin. During the winter, I don't like to fuse with a lot of makeup because when my skin is taking a hit due to the coldness (hello, can we say -40F?!) I hate having to scrub my face to remove makeup when my skin might not be up to it. And while I use all gentle well formulated products (can we say Paula's Choice), nonetheless dry skin still hurts when it needs to be cleaned. So for today I am going to be talking about a few of my favorite winter makeup staples that I use throughout the cold season to keep my makeup looking fresh and my skin well taken care of! MUFE has a made a bronzer that looks as natural as J-lo's tan. It comes in six different shades with three being matte and three iridescent. Its a gel to powder form that literally is powderless and looks totally natural on the skin when applied. Not a single trace of powder can be found when swatched or applied to the skin. 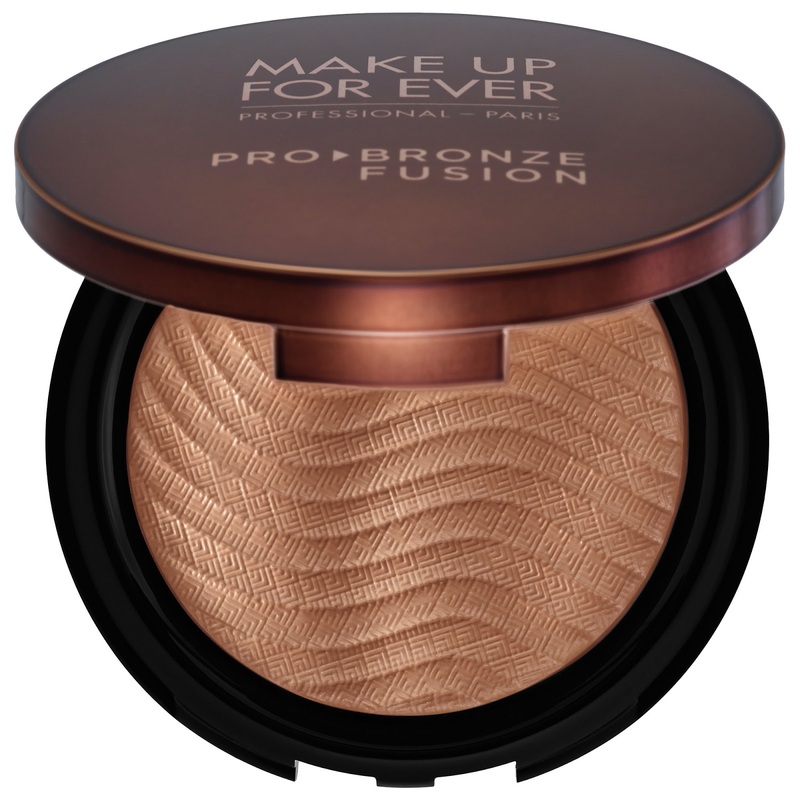 It leaves the skin a very natural looking glowy bronzy finish and works wonders over dry skin. 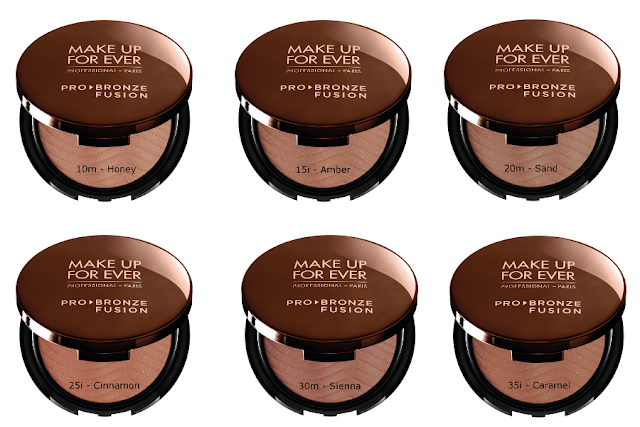 Since it applies powderless, there are no dry patched that this bronzer will cling on to. This is always a plus when you have dry skin because makeup always seems to gravitate towards that spot and just accentuate it more! I have truly enjoyed using this bronzer during this winter season for the great non powdery look it gives me. I wear this in the shade 15i. Ah yes nothing goes worse with dry skin than foundation. I don't suffer from dry skin. However during the weather I might hit a dry patch (no pun intended) here and there. Nonetheless, half the times I don't even notice it till I apply foundation, and then I see the dead skin hanging on my face! Sadly by the time this happens, I can't re-apply my moisturizer because my foundation is already on. So best thing to do is find a foundation that either hides or moisturizers your skin during application. One of the best foundations I found that doesn't cling, accentuate, or make the skin worse is bareMinerals Complexion Rescue foundation. This foundation is basically a tinted moisturizer (BB, CC cream) in a gel like form. However, what's different from the rest that I have tried is that this gel cream literally helps to moisturize the skin and does wonders on dry patches. During the winter months, this is my go-to product because of its amazing skin properties. It really does hydrate the skin and gives you one of the most natural looks I have ever seen. It just looks like you have nothing on but your natural skin. It does wonders in evening out my complexion, hydrating it and providing flawless seamless coverage. This won't hide any serious imperfections you have on your face as it provides sheer to very modest medium coverage, but it will give you the best looking skin I have seen so far! I wear this in the shade, Vanilla. 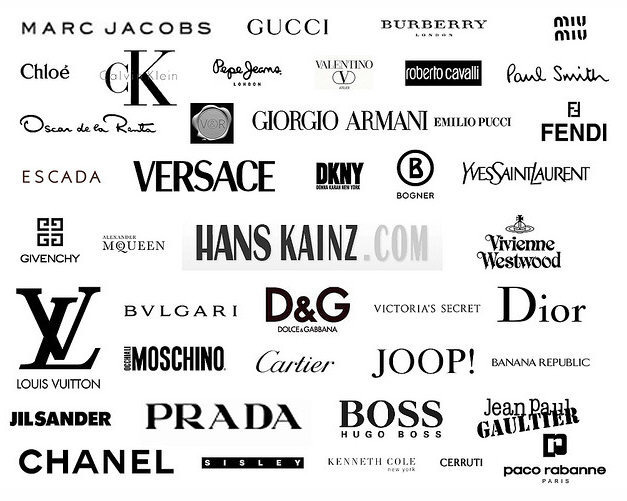 It sounds so luxurious by simply saying the words Yves Saint Laurent or YSL. They truly do make amazing makeup products. And while not all their cosmetics are amazing, the large majority are really worth looking into. 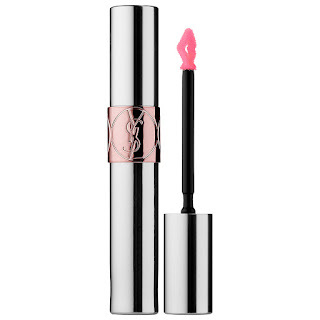 One of their most amazing products I have ever tried is their Volupte Tint-In-Oil gloss. 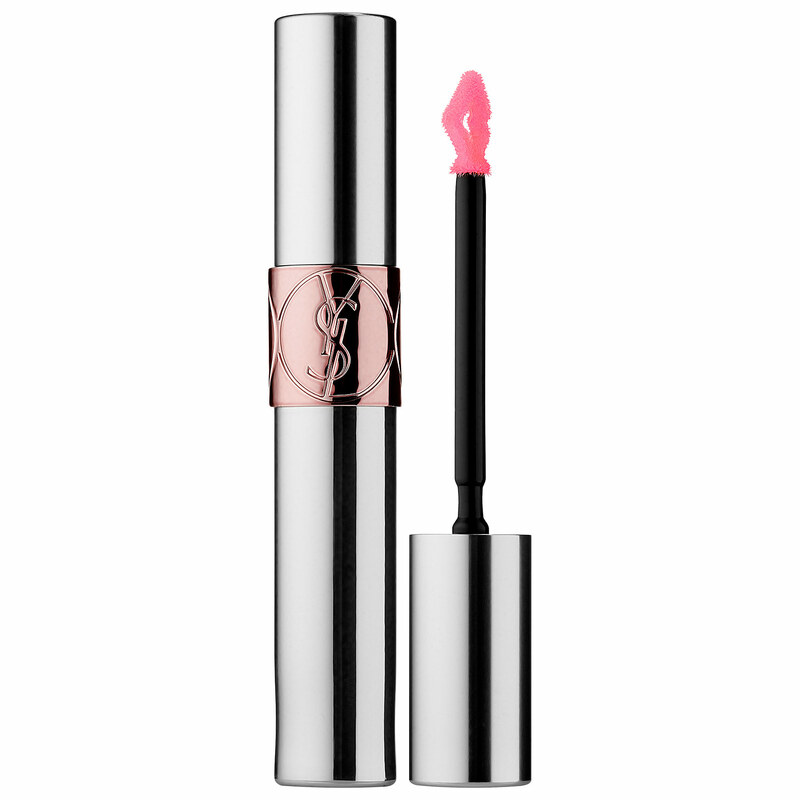 Not only is this a gloss with amazing shine and colors to die to for, but it comes in the form of an oil that truly hydrates your lips for hours. Its not messy, sticky nor does it smell or taste bad. It has a lovely rosey peach mango scent ( know, totally all over the board) with an almost creamy like feel. It last for hours and once gone it leaves behind a lovely tint on your lips without that ugly ring around the mouth effect. While they are a bit on the pricey side, however they really are worth the buy especially in cold weather where anything with a bit of oil in it helps to hydrate the lips to keep them supple. Your lips can get badly affected by the winter months, so with this baby I swear my lips can survive the winter weather till Spring! I wear this in the shade Peach Me Love and Cherry My Cherie! In the winter people tend to wear dark lips with more neutral colors on their eyes and drink hot chocolate! So why not do all three in one shot!! One of the best eye shadow palettes that came out during the end of the year in 2014 was the Semi-Sweet Chocolate Bar Palette by Too Faced. This palette ranges between warm and cool tones with a pop of blue right in the center. While a large majority of these colors run in the brown family, they all have great different undertones to work with just about all skin types. 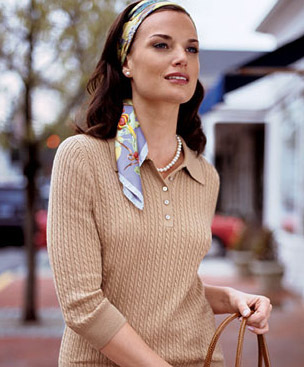 They also offer grey hues in their palette to work in with the browns. 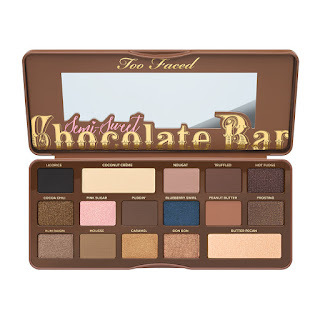 This palette always reminds me of a great snowy winter wonderland because of its amazing chocolate smell and colors that just make you want to curl up by the fire! Well...maybe not all that dramatic but still the eyeshadows are worth taking a few looks at yourself in the mirror as you cozy by a fire! Lets be honest we tend to sweat a lot in the winter just like in the summer. 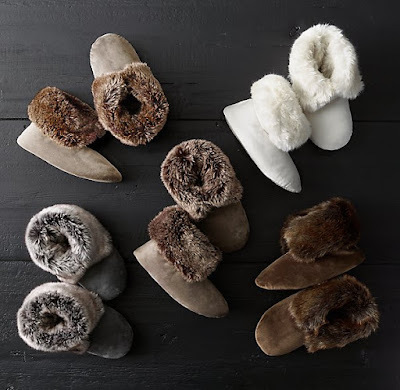 In the winter with all the layers we need to wear to keep warm, sweating just comes naturally. 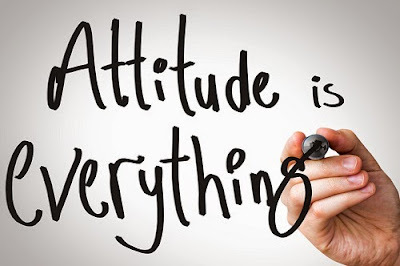 One of the things I try to do in my life is eat right, sleep right, and use good healthy products on my body in order to keep with the whole healthy effect. I hate using deodorant with aluminum in it, because I personally don't think its healthy. 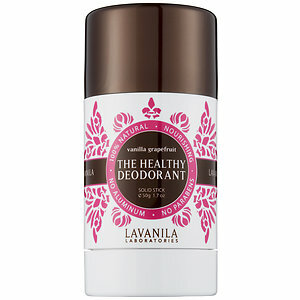 So I was totally excited when Lavanila came out with a complete 100% all natural deodorant with no aluminum or anything that might be harsh to your skin. They come in five scents with lavender being my favorite! It applies on like a white balm without leaving a white stain on my clothes. It last all day and keeps me dry with no smell. I was at first a little skeptical because it was all natural, and many times all natural products tend to fail in the smell department protection area. But this truly was a winner for me in my books as one of the best products I have ever tried! So their you have it, my staple items for the winter to survive the cold harsh weather in style! What are you staple items? Let me know down below! I have only ever tried two products from Make up For Ever (MUFE) in my life. Their lip liner which I bought last year, and their HD foundation. However, you can't really judge a company based on one lip liner as its practically non-existent once you apply your lipstick over it. Nor can I judge them on a foundation that I tried that just didn't work for me. Nonetheless, I heard that they make amazing quality professional makeup that both makeup artists and non-makeup artists can appreciate. So hence why I never gave up on them. I have been recently on the hunt for a good grey tone bronzer, or bronzer in general that doesn't pull too red, brown or orange on the skin. Since I am pretty fair skin, I need to be carefully that the sun kiss look I am going after doesn't end up being the sun burnt look I was trying to avoid. I have heard about these MUFE bronzers from the Youtubers that I watch, but I was just not ready to try another bronzer that wasn't my soleil tan de chanel bronzer. What can I say, I'm a creature of habit and once I find something I like, I stick to it. However I also noticed that I really did need something a bit more darker and greyer in tone for the winter months. While I am not one to collect copious amounts of makeup, I do believe in allowing yourself 2-3 different varieties in each makeup category in order to work with your skin tone that can be affected with the sunny months of the year. While I don't EVER tan, however I do know a darker bronzer was in order and looked better during the winter then a lighter one for the summer. MUFE back in summer of 2015 came out with six different bronzing shades in two different formats for light, medium and darker skin tones. The bronzers come in either a matte (M) or iridescent (I) form. The bronzer itself, regardless of what shade you get it in is really something to talk about. MUFE claims their bronzer is a gel to powder finish. While I can't really say if it is really a gel (as I'm not going to study the bronzer in my chemistry class) however what I can say is that this is a formula that I have never seen before! The bronzer is pressed down and so finely milled that when you swipe it with either your finger or brush, absolutely NO fallout appears. I mean none! No light dust of bronzer was on my finger, on the pan or in the air. It was literally like a gel to powderless powder form. Moreover, in order to even see the color you need to use a dense makeup brush or a good hard finger swipe for the color to appear. They state that the bronzer is waterproof. I can totally attest to that. I swiped the bronzer with my finger four times and drew four lines on the back of my right hand to check out the shade. I let it set and then went about my normal day. I must of washed and dried my hands a million times, yet the bronzer did not move. I had to finally grab a dish sponge and scrub that bronzer off, only to still be left behind with one finger swipe. In regard to the bronzers format, you can either get them in a matte or iridescent finish. The matte colors all seem to offer a lighter shade (10m, 20m, 30m) in each skin tone category, while the iridescent finishes (15i, 25i, 35i) (darker shades from their matte counterpart) leave behind a very small amount of shimmer and dare I say (gasp) sparkle when applied to the skin. However unless you (now here comes the bronx out of me) "are all up in my grill" (literally) you really won't see the shimmery effects. However in the sunlight, you catch a small beautiful glimpse of what looks like shimmery natural sparkling skin. I wear 15i since I am pretty fair skin. I applied this bronzer on my bare face at first without any foundation underneath and was surprised on how quick it just lite up my face. With foundation, it did the same thing. While I'm not a huge fan of the shimmery looks, however I do appreciate the fact that its very subtle. If I could do it all over again (which I will once this bronzer runs out) I would buy it in the 10m format because you can't contour with shimmery iridescent bronzers. They really just don't look natural, but you can bronzer with them. Mattes on the other hand, you can contour and bronzer (or do all in one) and be left with a natural looking finish. This bronzer (15i) really does leave a very and I mean very natural looking finish on your skin that almost looks like you were born with it. Since it is "powderless" it applies to the skin like a second skin and comes off as you were naturally kissed by the rays of the sun. I was really amazed by the look of this bronzer on my skin. Even close up to a mirror, I could not detect at all any powder on my skin. It looked like I was sporting a sort of J-lo's tan glow on my face as if I was born this way. In reality I am pale white, but hell with this on, I even managed to fool myself (well, almost). I highly recommend these bronzers for an all natural year around sun kiss look. Have you tried any of them? Let me know down below what you think of this product!! First, Happy New Year!! This is my first post of the new year! I know, I know it January 8! What can I say, I've been partying hard (not at all!!) sleeping in (totally a lie as well! I have four kids!!) and taking it easy for the first week and half! But now back to business! On the norm I get ask what is my daily skincare routine! Because everyone has different needs for their skin and its always important that you tailor one to your needs and not try copying what your friends do, due to the different issues, skin textures and need we each have. I have two skincare routines, morning and night. While they are similar in one way, they differ in another. So for my very first blog post of 2016, I'm going to discuss my morning skincare routine that I do every day without fail! 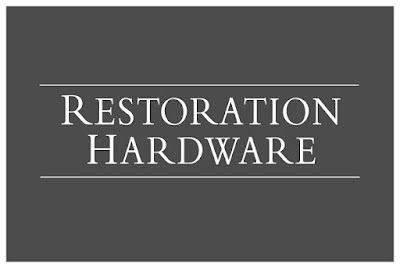 Now keep in mind, every product that I use has a function for the skincare problem that I need help with. 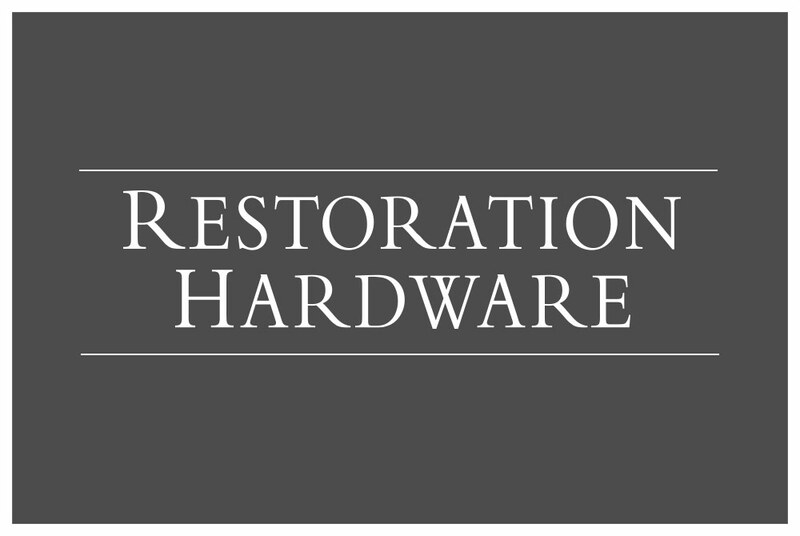 No ONE product will ever hit everything across the board. Just like no one piece of vegetable will give you everything you need in your diet; as we all know different vegetables offer different nutritional values, same can be said for skincare. 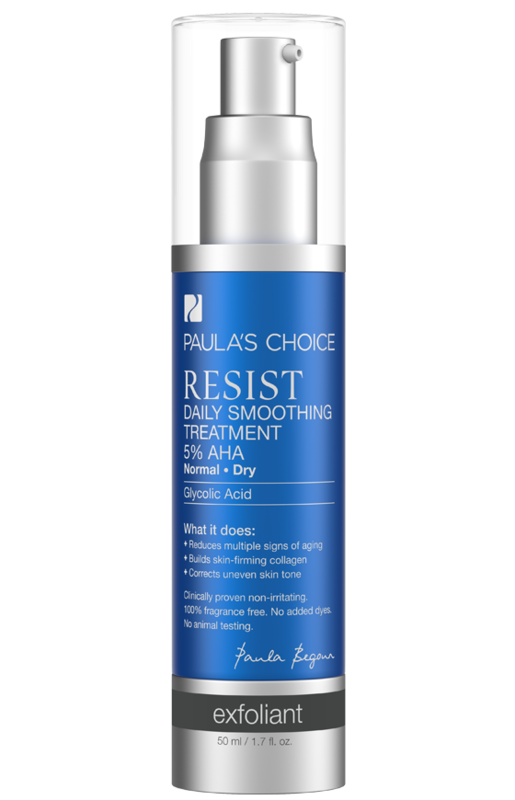 I mostly use Paula's Choice Skincare Line because Paula uses REAL medical literature journal articles in order to back up her claims on the ingredients she uses in her skincare line. Due to this, I have stopped using anything with witch hazel, alcohol, fragrances, dyes, perfumes and so on that would be constituted as an irritating ingredient based on these articles. Trust me when I tell you, I literally saw my skin change overnight! Finally, if you are interested in trying any of her products which I literally swear by, click HERE which will give you $10 dollars off your FIRST order with the company on any order over $15.00! 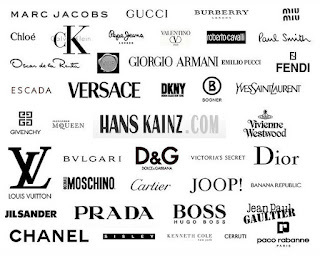 I would stalk the site, as many times they have amazing discount deals and free shipping throughout the months! So literally that one bottle of BHA with taxes can come out to less then $10 with free shipping! The $10 will be applied automatically at checkout when you click on the link above! I literally swear by this cleanser. I use this product every morning when washing my face. I have the 8oz bottle in my shower and the 17oz bottle on my sink vanity. I wash my face every morning in the shower and at night at my sink vanity. A little really does go a long way. 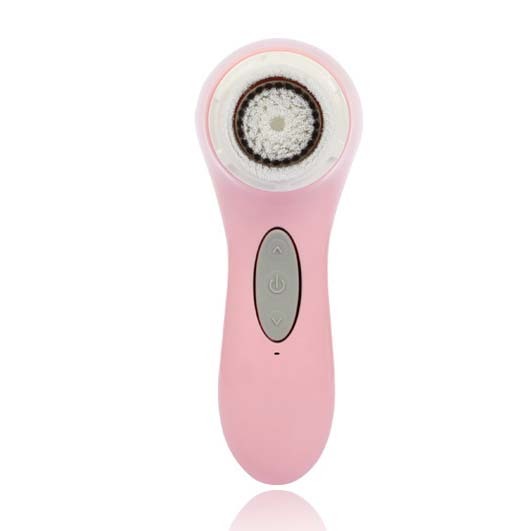 I use about a pea size amount and use either my hands or my clarisonic to cleanse my face with. I wash my face in circular motion for about 5-7 seconds and then rinse off with luke-warm water. Not only does it help reducing oil when cleansing my skin, but there is NO tight feeling left when you rinse the product off. It lather well, no scent, no dyes or irritating ingredients will you find in this bottle! It just leave your face feel clean and smooth after every use. I haven't used a different face cleanser in the last two years that hasn't been this one. Like the old saying goes "if it ain't broke, then don't fix it". I use a Clarisonic Aria just about everyday to cleanse my face along with my PC Skin Balancing Oil-Reducing Cleanser. What I love about this brush is that it has different settings you can use depending on your face tolerance. However I would recommend to be gentle, as your face is not asphalt and scrubbing it like sandpaper will cause damage to the skin with small micro-tears and irritation. This device is so smart, that if you keep it too long on a certain part of your face without moving it for 10 seconds, it will turn off on its own to protect your face. I use this brush all over my face and neck for 5-10 seconds in small circular motions without applying much pressure. Again, I want to clean my face, not rip it off right! So the key is to be gentle at all times! 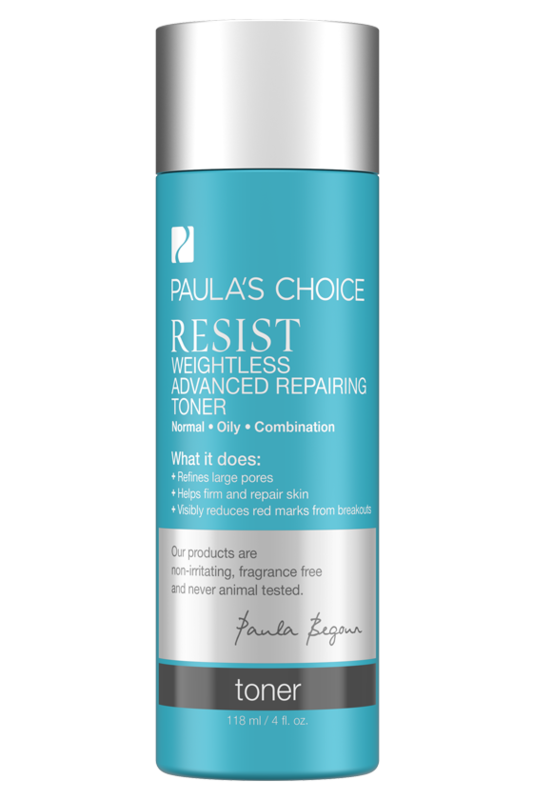 After washing my face, I follow up with a toner to restore the natural PH balance to my skin. Toners can also be used to help remove any makeup, residue and dirty left behind that your cleanser might have not caught. However if you have a good cleanser, then seldom will this be a problem for you. A good formulated toner will do wonders for your skin! A bad formulated toner will rob your skin of its natural oils and damage the skin barrier with harsh ingredients like alcohol and witch hazel which are commonly found in toners! Choose a toner that is free of harsh ingredients, restores the PH balance to your face after cleansing and helps to get rid of any residual dirty. Also, the most important thing is to use a toner that is right for your skin type. Don't use over emollient toners if you have oily skin as this might make your face feel more greasy and lead to breakouts. Or acne toners if you have normal skin with no acne issues as this might dry your face out. Always work with the skin you have and not with what you wish you had. Working with the skin type and texture you have can potentially get you the skin you want to have when you use right products which are formulated with good ingredients! After toning, comes my favorite part!! My BHA! I have always said, if I was stuck on a desert island I would bring three things with me. Sunscreen, chapstick and BHA! I literally apply this on hands about two drops and rub it on my face without a cotton round. Reason for this, is because BHA is not used to clean residual dirty of your face per se. Its meant to stay on your face and exfoliate your skin chemically throughout the day. So using a cotton round to apply this treatment, will make you waste this precious product for no reason. BHA is literally a miracle cure over night for many skincare issues. 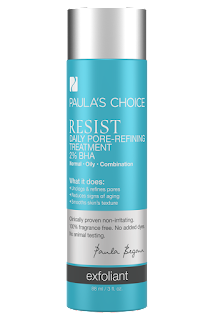 BHA is basically Beta Hydroxy Acid (or salicylic acid) that not only cleans the top layer of your skin, but also goes deep down into the pore to clear it out, causes cell turnover by actually exfoliating the under layer of the skin thus push through new skin and skin cells to the top layer of the face. I swear by this product morning and night! BHA is literally on my list of best of the best and I recommend it to everyone!! While I use daily (morning and night) my BHA, I also changing it up a few times a week with AHA (Alpha Hydorxy Acid) to chemically exfoliate the surface of my skin from any sun damage, dark spots and wrinkles that occur over time. This AHA comes in a light weight lotion form, and I apply it directly after applying my toner. If I use AHA that morning I wouldn't use my BHA till night time. Using both at the same time, can cause a serious irritation. Trust me, I should know, I did it once by accident for a month not realizing that AHA and BHA shouldn't be mixed that way! Talk about a burn if I ever did see one!! 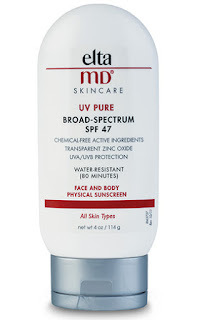 The reason why I using AHA and BHA (on separate days) is because; while I am diligent to wear SPF 60 if I go out during the day ALWAYS, however sun damage occurs from the moment a ray from the sun hits your face. Even with SPF 30 and up on your face, a small portion of the rays still do penetrate the skin. So I make sure to keep my skin looking fresh, young and exfoliated with my AHA throughout the week. While SPF will block the UVA/UVB rays from the sun (as long as its a board spectrum) AHA will help get rid of the damage left behind from the sun, aging and pollution we all deal with on a daily basis. After toning my skin and applying either my AHA or BHA for the day, I follow up with my Vitamin C serum. Vitamin C is an antioxidant that works beautifully when applied to the skin. It clears up uneven skin tone, helps with hyperpigmentation, brightens skin (not whitens) and gives your complexion a health radiant glow all around. 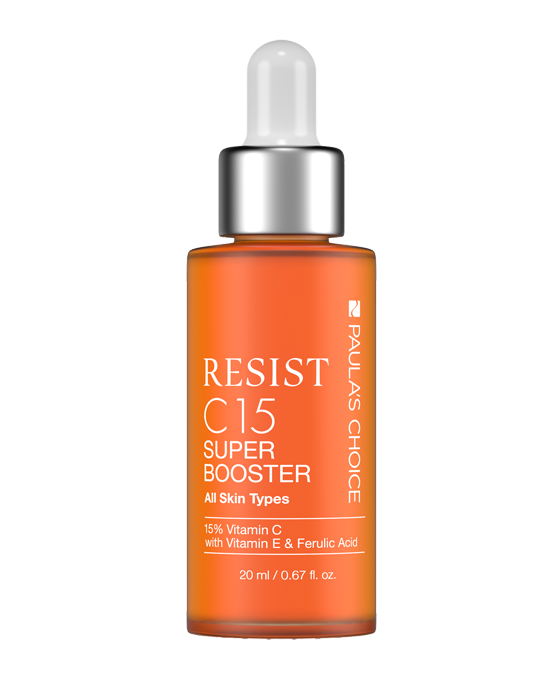 Next to my BHA, vitamin c is my next best skincare product that I swear by. 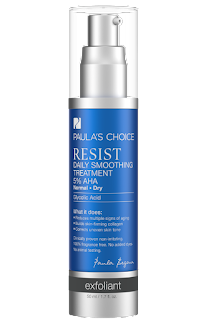 I have been using this product for over two years now at the 25% mark and have truly seen a difference in my skin. Since vitamin c is an antioxidant, it is very sensitive to light and air. So make sure to ALWAYS get vitamin c in a liquid serum form that dispenses from either a pump or a droplet bottle. Make sure the bottle is dark or not see-through and that the vitamin c formula is at least 10% in order to see a difference in your face. Stay away from any vitamin c that say it contains witch hazel or alcohol. 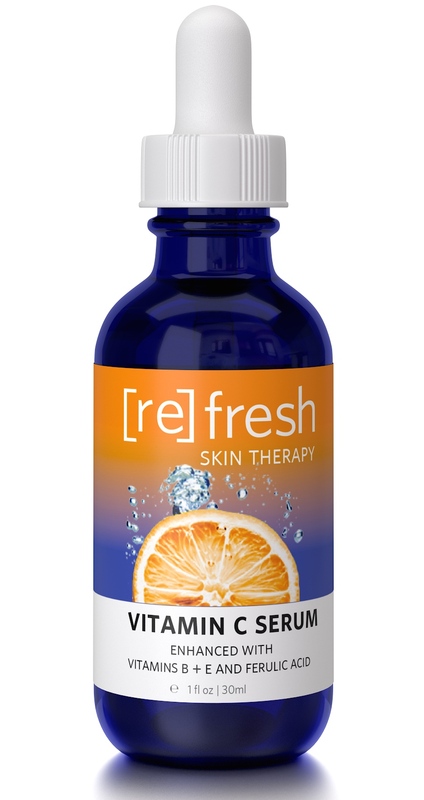 This will not only dry out your skin and damage the protective barrier, but will basically negate the usefulness of vitamin c. A well formulated vitamin c will greatly improve your complexion. For more information on vitamin c, click HERE on my blog post about vitamin c.
After I apply my vitamin c, I follow up with my Resist Hyaluronic Acid Booster. This has got to be literally magic in a bottle with the amazing affects you are left with after a couple of uses. 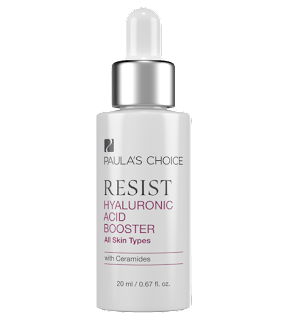 Now what is Hyaluronic Acid you ask? Good question! Let me tell you!! Hyaluronic Acid (HA) is found naturally in the human body and seen in high dosages in babies. Have you ever wondered why babies and small children always look like they have beautiful supple plumpy skin? Well its because of the hyaluronic acid in their system. 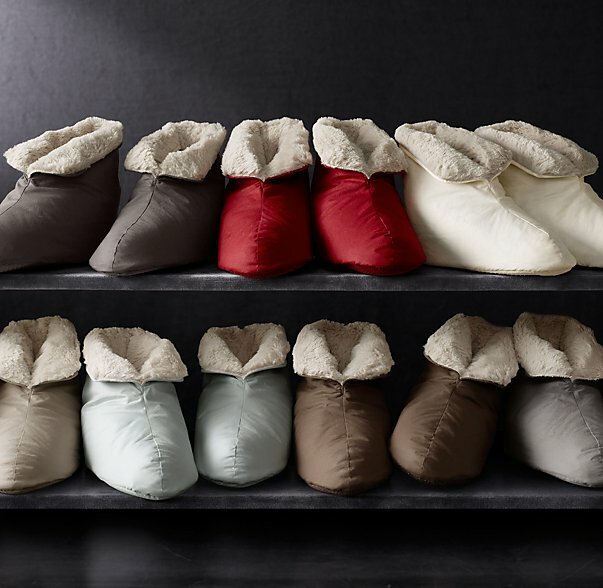 Its a major component of skin tissue that give babies this beautiful plushy effect. Skin in general holds about fifty percent of your body’s hyaluronic acid in it. However as we get older we lose a lot of it and thus aging takes it toll. 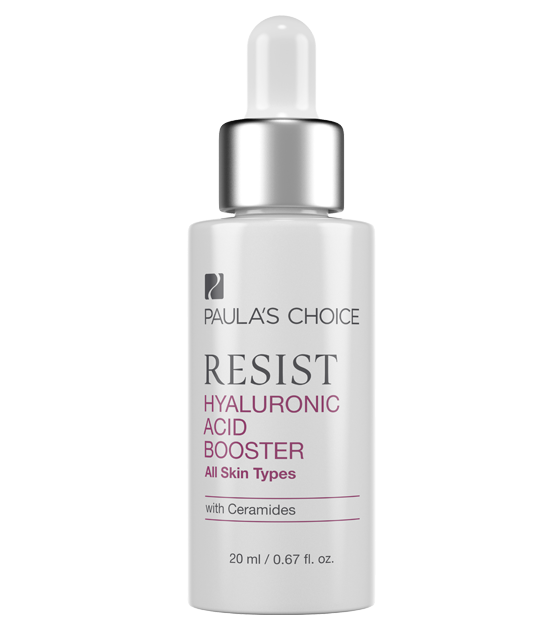 Hyaluronic Acid plumps and moisturizes skin and helps to heal and comfort it when its suffered damage. Hyaluronic Acid also prevent fine lines and wrinkles from forming and helps by retaining moisture in the skin and creating a cushion like effect to help plump out the lines as we age. Needless to say, this is some good stuff! However with all being said, HA only works when it formulated properly and is not diluted or adulterated with alcohol, dyes or fragrances. This product is truly worth investing in if you have fine lines and wrinkles and need a serum to serious help plump up your skin! After I apply my hyaluronic acid, I always follow up with an antioxidant serum that is super charged and packed with ingredients to help flourish my skin to its best state possible. Serum are amazing, because a well formulate serum will (just like vegetables) bring to the table a great array of other ingredients and antioxidants that help and protect skin in many different ways. A good serum will promote good cell turnover, leave your face feeling well attended to and will not dry, damage or destroy your skin in any manner. 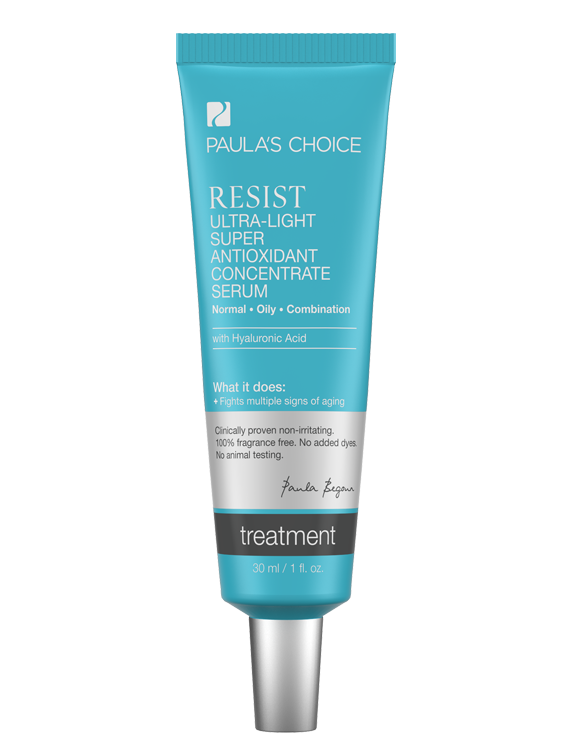 The resist ultra light super antioxidant serum contains vitamin C, vitamin E, glycerin, hyaluronic acid, sea whip extract to name a few. These ingredients are great to help skin look and feels its best while promoting anti-aging in order to help fight signs of fine lines and wrinkle that form on our face due to aging or sun damage. 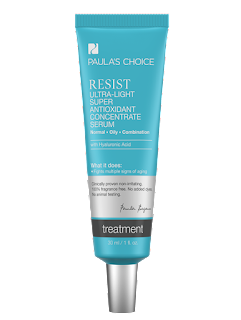 After I am done applying my resist ultra light antioxidant serum, I follow up with my light weight moisturizer. This moisturizer is so light weight, that it literally feels like you have nothing on, but leaves your skin feeling moisturized, non-greasy and well hydrated. This lotion is a gel like texture with a silky feeling that leaves your face feeling smooth, bright and health. 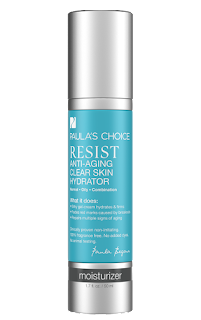 Resist Anti-Aging Clear Skin Hydrator has a proven anti-wrinkle and skin-clearing ingredients that shows results when used daily. I apply this lotion morning and night after my skincare routine. This lotion helps with collagen production, sun damage, uneven skin tone and hyperpigmentation. Lactoperoxidase is an ingredient found in this lotion that helps to eliminate breakouts while helping the skin to naturally repair itself from damage. I love this lotion due to all its healthy properties and affects! Finally and mostly the MOST important part of my skincare routine is SUNSCREEN! And here's why. If you don't wear sunscreen after using AHA, BHA and vitamin c, not only are damaging your skin further (from the sun rays) and un-doing all the hard work these products are made to do, but you are also exposing yourself to harmful rays throughout the day. My sunscreen is my friend and I wear sunscreen EVERYDAY if I go out throughout the day regardless of the weather condition. Unless its night time, sunscreen is always applied to my face. 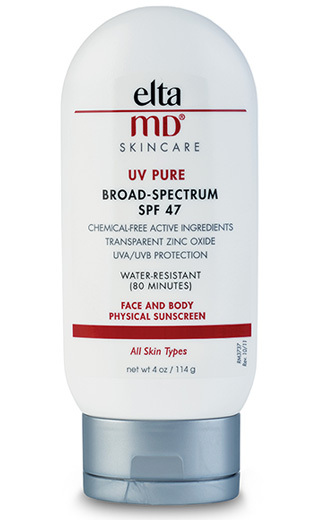 In order to be protected from both the UVA/UVB rays, you need to use a broad-spectrum SPF that is at least 30 and up. Anything less then SPF 30 and not board-spectrum will do little to nothing in order to protect your skin. Click HERE to read my blog post on why sunscreen is so important to your daily skincare routine. Lastly, never dilute your sunscreen with makeup or your face cream as it will lower the effectiveness of the SPF. Moreover, never rely solely on your makeup that claims to have SPF in order to protect your skin. Research has shown that unless you apply your makeup six times over and extremely heavily, then the SPF is rendered useless. Click HERE for that blog post on those facts. So there you have it! My morning skincare routine! Tell me what's yours! !